Technology has found its way into vehicles and many people rely on devices in their cars in order to keep them safe and tell them where they are going. The use of technology in cars is actually expanding, and self-driving cars are rapidly becoming a real possibility that may be available to consumers soon. Unfortunately, all of this reliance on technological devices can make consumers complacent and can put them at risk of crashes when technology fails. Ultimately, drivers are the ones who are responsible for being safe and making smart choices behind the wheel and drivers will be the ones who are held accountable when they fail to do what they are supposed to. An Atlanta car accident lawyer at Van Sant Law, LLC can provide legal representation to clients injured in crashes caused by drivers who have relied too much on technology and not enough on common sense and following safety rules. One of the most ubiquitous pieces of technology found in cars today is the GPS device. People rely on these devices to tell them where they are going, often to their detriment. Consumer Affairs, for example, reported on a recent tragic crash in which a 64-year-old driver followed GPS directions right off of an elevated road. The road had been partly demolished and the driver was following his GPS and drove off the edge, causing the car to fall 37 feet onto the pavement below. The crash caused the car to start on fire, and the driver's wife was killed in the accident. The accident isn't the first to be caused by bad GPS directions. Drivers have taken their car into rivers, onto airport runways, and onto unpaved logging roads. One airport in Alaska had so many drivers following bad GPS directions that the airport had to put up roadblocks to stop people from continuing to drive on the runways. 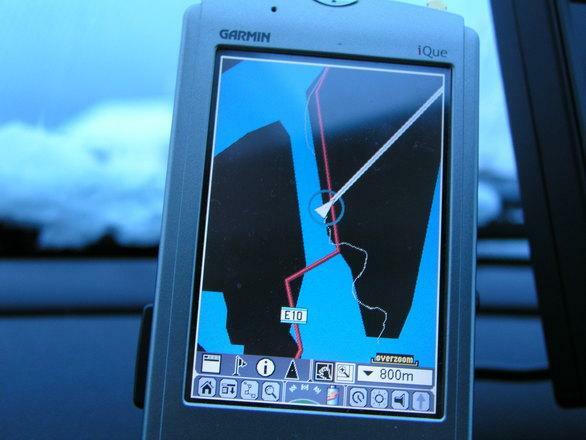 When a GPS gives bad directions, sometimes people sue. Tech Live, for example, reported on a woman who sued after Google Maps walking directions told her to walk onto a highway with no sidewalks. She did, suffered severe injuries, and filed a lawsuit. It is arguable whether a GPS should be held responsible when people follow wrong directions and get hurt. While the drivers in these scenarios may or may not be victims, it is clear that the passengers are. Passengers who are injured by a driver who follows GPS directions into a dangerous situation could try to pursue a claim for compensation from the driver who hurt them. If the passenger can prove a reasonable driver would have been more careful and not made the dangerous mistake, the passenger can recover compensation for losses. Drivers who pay attention to the GPS and not the road could also become involved in accidents with other motorist, with pedestrians or with bicyclists. These victims could also pursue a claim for compensation by showing the driver was unreasonably negligent and should have been more careful behind the wheel. The Atlanta car accident lawyers at Van Sant Law, LLC can represent you after an injury caused by a distracted driver. Call today at 404-991-5950 or contact us online to schedule your free consultation.